THE Papua New Guinea Football Association has come under fire from one of its own affiliates with Port Moresby Soccer Association president John Wesley Gonjuan calling on the body to thoroughly investigate the visa debacle. Gonjuan, who heads one of the country’s major soccer associations, called on PNGFA president David Chung to look into the matter and reprimand those responsible for causing the country and in particular the sport great embarrassment after the PNG senior women’s side failed to travel to Auckland earlier this week to play the Football Ferns in the second leg of the regional Olympic Qualifiers. He said all FIFA-sanctioned tournaments were fixed and could not be altered and changed because one party failed to meet its obligations. 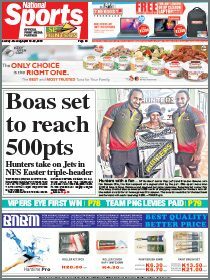 He said there was a level of professionalism and competency expected of all participants and the PNGFA’s inability to address a routine task as lodging visa applications for players had made headlines around the world. 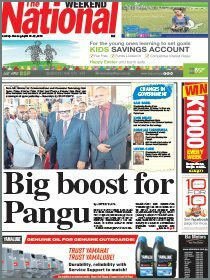 World news agency Reuters carried the news on Monday, a day after the PNG team was told they could not travel to New Zealand because they did not have their visas in order. Gonjuan urged PNGFA to review its systems and processes and appoint competent people to management roles to look after all the country’s national sides. “We should have an operative system in place to avoid such inept behaviour,” Gonjuan said. Gonjuan said despite Chung saying in a statement yesterday that the problem with the visas for the senior side would in no way affect the staging of the Under-20 Women’s World Cup later in the year the damage to PNG soccer had already been done. “We can’t downplay this. The senior women’s side deserved to go and play New Zealand in the return leg. It would have given the players valuable experience and benefited PNG soccer as well.